Mexico is simply a gift to the world. Honestly, no possible bucket is big enough to hold all the classic experiences that await in a land of so much and so many cultures, topographies and cuisines. But we made a "bucket list" anyway, to get you started, with 21 ways to fall in love with Mexico. The story goes that the Aztecs saw a vision of an eagle eating a snake on a great lake here, signifying they’d found the center of the universe. It’s sort of worked out to be true: by some population counts, Mexico City is the largest city on Earth. It’s a mesmerizing blend of European and pre-Hispanic cultures, with a stunning zocalo, incredible museums, low-key neighborhoods, Aztec canals you can boat down, wonderful Chapultepec park, vibrant mosaics of UNAM university, places where you see the city’s actually sinking back to the filled-in lake and Tenochtitlán’s 13th-century pyramids to hike up. And then the nightlife. On a Friday, you’ll see fireworks popping over the rooftops. It’s not because it’s a holiday. It’s just the weekend. Mexico City knows how to live. 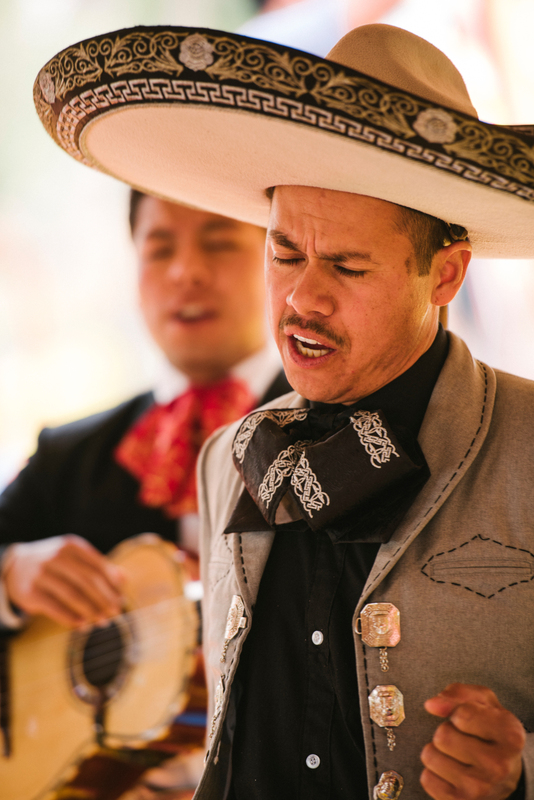 Mexico’s second-biggest city needs only two words to make its case on the international stage: tequila and mariachis. 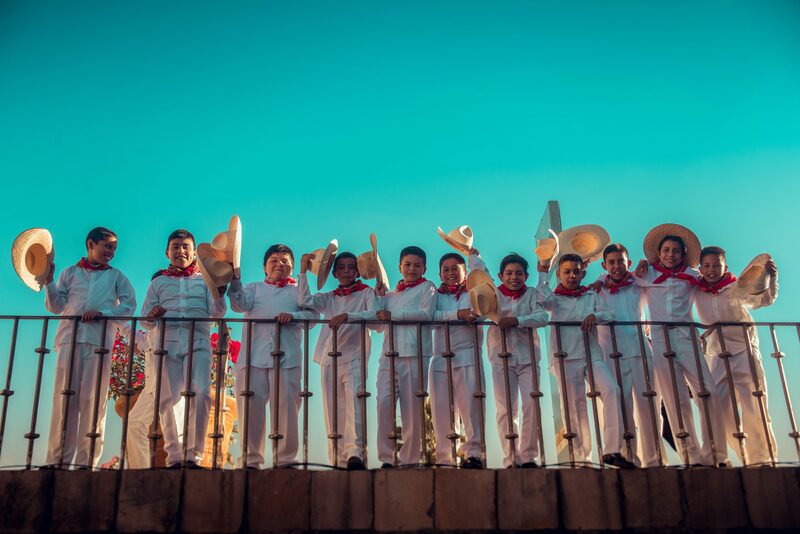 This nearly 500-year-old city has long-nourished traditions of the Jalisco region, evident in mariachi culture (the song “Guadalajara” is a mariachi stand-by), tequila (it comes from the blue agave plant, as grown in the nearby village of – you guessed it – Tequila) and tapatía cuisines. 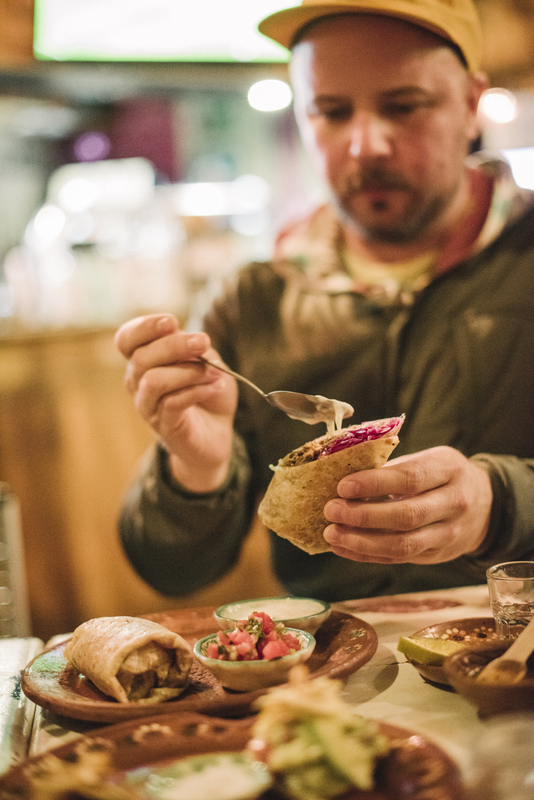 The latter includes birria (lamb or goat stew, served with tortillas), pozole (hominy stew) and torta ahogada (a meat-filled bun soaked in tomato sauce). Many beach-goers stick to the Yucatan coast, missing one of the great, most manageable Mexican cities, just a few hours’ drive inland from Cancún. Built around an atmospheric colonial core, the center of Mérida closes down traffic on weekends – turning over its shady parks and cobblestone roads to live bands, live dance and street food. The city has many historic buildings converted into slick restaurants and inns, and from here you can visit some of the great Mayan sites – including Uxmal, which gets a trickle of visitors (and more iguanas) compared with nearby Chichén Itza. Down in the southern highlands of Chiapas, San Cristóbal is the kind of town where you’ll need a sweater. Much of life clings to the outdoors, where you’ll see Mayans from mountain villages come to sell herbs and artesanías in the colorful markets. Coffee comes from those mountains too, and make their way to local cafes. Sidetrips there witness traditions that have hardly changed since the first Spanish missionaries showed up. Locals were fine with cathedrals – the Jesus cross resembled an open cornstalk they long worshipped – and in towns like San Juan Chamula, locals simply cleared out the pews, laid out pine needles and brought in live chickens to utter prayers to imported saints who resembled their own. It’s Mexico at its most fascinating. If you know it, you might groan at the mention. Yeah, it’s sort of gringo central. But, the point is, you’ve been. And it is just too damn beautiful to not be included on our (or your) list. The Unesco heritage site is a perfect place to just go and walk the streets, shop for art, eat well in lovely restaurants, and bask in the golden glow when its cobblestoned center and historic cathedrals light up in evening light. Afterwards you can grumble about all the gringos if you want. But we guarantee you’ll love being there. Yes, the capital of Oaxaca State is technically a city (about 250,000 call it home) but it lives so laid-back it passes as a town. Few places in Mexico are as culturally packed. 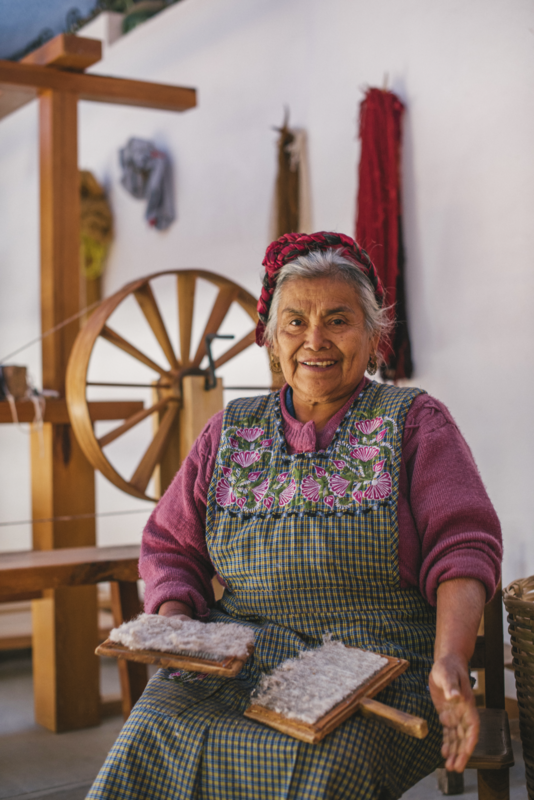 Zapotec artisans come in to sell their timeless works, and street markets are filled with a menu’s worth of local foods that rarely make it out of Oaxaca, from the roasted chapulines (grasshoppers) to the crispy tlayudas coated in beans, cheese and meat. This is also the capital of mezcal, and slick mezcalerías serve inventive new cocktails using the smokier spirit of cousin tequila. 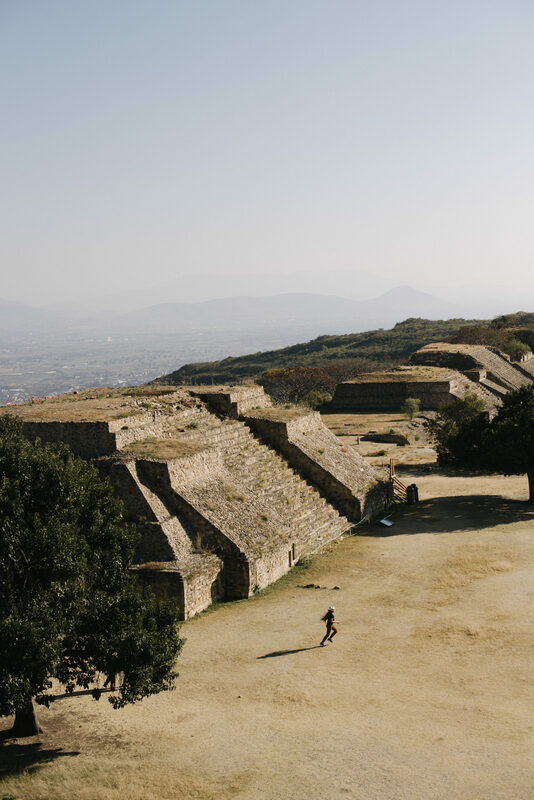 You can also daytrip from here to Monté Alban ruins, once the heart of the Zapotec civilization. Veracruz, the great port city on the Gulf of Mexico, turns 500 in 2019, making it Mexico’s oldest European settlement. 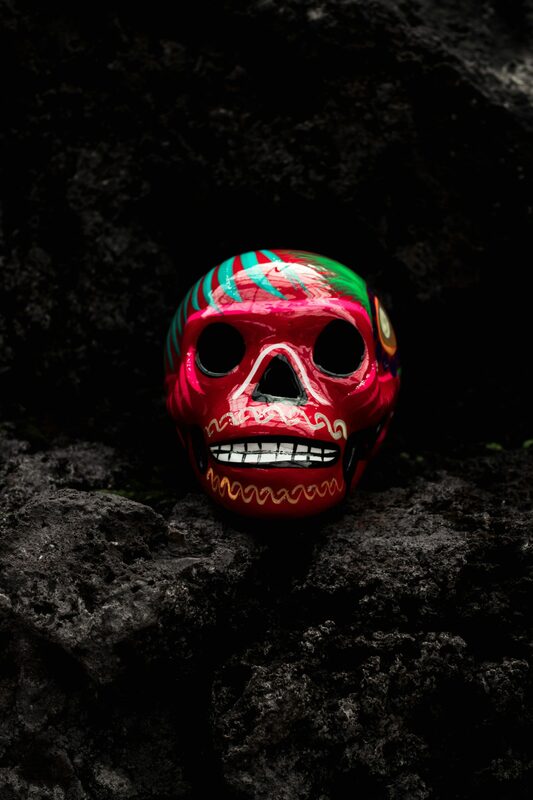 Its draw comes from its atmospheric zocalo, nearby beaches, plates of grilled huachanango (red snapper), and – best of all – its raucous nine-day Carnaval. At that time, Jarochos, as locals are known, turn their city into a sea of floats, costumes, dance parties, music. Especially music and dance. Locals zero in on the zocalo to partake in the Cuban import of danzón dance. Finding a makeshift teacher will not be difficult. Guanajuato, a silver city of 170,000 four hours’ drive north of Mexico City, occupies an enviable pocket valley in the mountains. It’s a national highlight to visit any time of year (you might recognize local streets from the Antonio Banderas movie Once Upon a Time in Mexico). But it kicks into a higher gear every October, with a cultural international explosion of art and music named after Don Quixote’s creator Miguel Cervantes. Witness Moroccan musicians in plazoletas, philharmonics adding music to German silent films in a historic cinema, Cuban bands, punk bands, modern art exhibits in museums. It lasts a few weeks, with a constant stream of official (and unofficial) goings-on that mostly attracts Mexican travelers. This national event is so famous it inspired the recent Disney film Coco, which won two Oscars. You’ll find skull-themed parades and events around the country, but two locations stand out. In the Yucatan, Mérida – a richly cultural city of colonial streets near to grand Mayan sites – is great because it’s all about food. Their festival, Hanal Pixán, or feast for the souls, involves leaving out Mayan foods such as mucbipollos (tamale-like corn dough filled with chicken and wrapped in banana leaves) for departed relatives. Perhaps the most remarkable Day of the Dead event is at Pátzcuaro Lake in central Mexico, where processions of torch-holding fisherman paddle about, while over on Janitzio island, indigenous communities hold parades, folk dances and sing in cemeteries all night long. The narrow Sea of Cortez – hemmed between the Baja Peninsula and the Mexican mainland – is packed with 900 types of fish, making it a pure paradise for curious snorkelers and divers. It’s sheltered, with many calm areas, and pinkish mountain islands poking out of the blue-green water like curious whales. As John Steinbeck put it in The Log from the Sea of Cortez, “a dream hangs over the whole region.” A great base is La Paz, where you can join snorkel with whale sharks or seals, or camp on remote Isla Espíritu Santo. Mexico’s Copper Canyon, or Barrancas del Cobre, dwarfs the Grand Canyon. It’s actually made of six canyons that run deeper and narrower in river-fed area four times the size of Arizona’s famed site. It’s more varied too, spanning pine to palm and tropical canyon bottoms. Much of the fun is getting there. The Ferrocarril Chihuahua Pacífico train involves a 418-mile journey that takes on nearly 40 bridges, over 80 tunnels on its 14-hour ride from Los Mochis to Chihuahua. On overnight stop-offs, you can hike, zipline, go horseback riding, mingle with the Tarahumara indigenous people, and venture to villages on the canyon bottom. Everyone knows about Chichén Itzá, but the number of visitors sometimes distract from appreciating the site. Meanwhile, Palenque – where the limestone plain of the Yucatán meets the jungle and mountains of Chiapas – is the perfect location for a grand Mayan city. Lurking in the woods are 1400 temples. Unlike Chichén Itzá, pyramids can still be climbed and temples entered to peek at the peeling paint of 1500-year-old murals. A daytrip from here can take on two more stunning sites: Bonampak (famed for vibrantly colored murals) and Yaxchilán (reached by boat on the Mexico/Guatemala border – where steep steps reach hidden temples where howler monkeys earn their name from the jungle canopy around you). 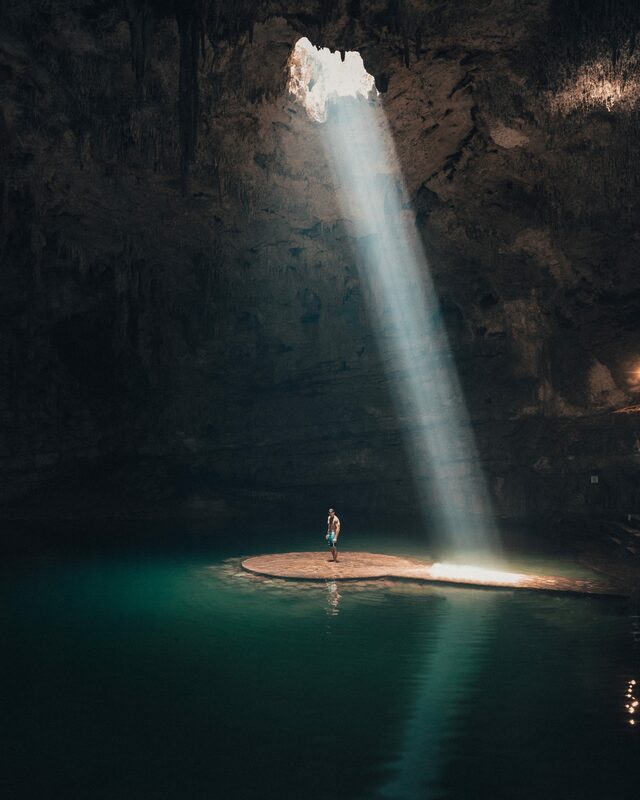 Apologies to so many grander sites (Mexico City’s Tenochtitlán or Uxmal, among many others), but Cobá, an hour west of Tulúm’s beaches, offers a rare hack of getting a personal pyramid. Most visitors come to 1200-year-old site during the day, walk through the jungle, snap photos of temples in the shade, venture up a pyramid and share the top platform with dozens of others – then head back to the beach. Go when it opens (best if you overnight in the nearby village), go to the gate (just past a lake home to many crocodiles) when it opens (sometimes you’ll have to wait ten minutes if the key guy overslept), then rush to the pyramid. On most days, it’ll be yours alone for an hour or more. And you can sit and watch the mist rise from the top of the jungle before you. Even Mayan emperors didn’t get that view alone. The biggest groan-worthy traveler’s cliche in Mexico begins “these aren’t as good as the tacos back in…” Please don’t say that. And certainly don’t say that if you’ve not really searched out the best of Mexican tacos (which happen to be the best things in the world). You’ll find them, more often than not, in simple, family run taquerías (taco shops). Trying local varieties is half the fun. Zacatecas is known for spicy taco envenenado (“poisoned taco”), huge, beef-filled tacos with potatoes, beans and chili. Baja’s taco de langosta is a lobster taco on flour tortillas. You can find tacos de chapulines (grasshopper) in Oaxaca, and – wherever you go – always opt for tacos de guisado (stewed meat), which range from goat to stingray. Yes, you can eat bugs in Mexico. And you’ll probably like these pre-Hispanic snacks more than you think. Famously, toasted chapulines, or grasshoppers, are cooked with lime and garlic or chili, and eaten by the crunchy, tasty handful or as fillings for tacos or tlayudas. These are commonly found in Oaxaca, but Mexico City’s San Juan market is a good place to find and try various insects too. Ask for chicatanas (ants), escamoles (ant larvae), jumiles (stink bugs) and gusanos de maguey (maguey worms). Yummy. Some things have to be seen to be believed. Like a certain museum in the silver mining city of Guanajuato. An accidental by-product of a century-long “grave tax” was the discovery of mummies. “Evicted” corpses were dug up, and locals found the dry conditions and soil of the area were perfect mummy makers. Eventually they became the Museo de las Momias (the Museum of the Mummies), where mummies of various sizes, with often twisted facial features in tact, are stacked in a room. If you don’t make it to Guanajuato, Mexico City’s Museo de El Carmen (a former monastery) is home to a dozen mummies itself. In 2000, a scene out of a science fiction movie was found in the earth at Naica, outside Chihuahua in northern Mexico. A cave of crystals. Very very large crystals. They look like sword-like glass cylinders, reaching nearly 40 feet, thus dwarfing scientists who venture down to study them. 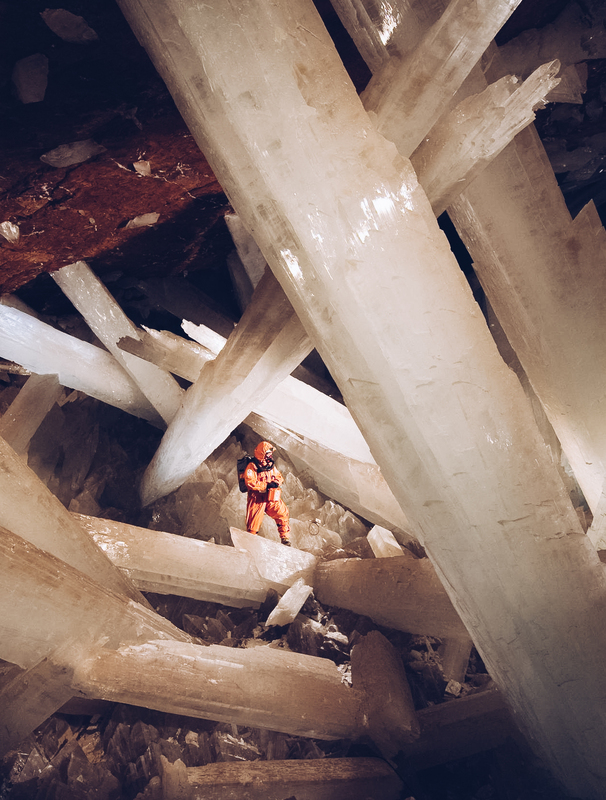 Crystalization here has been going on for half a million years, but conditions in the last 10,000 enabled the crystals to grow to these gargantuan sizes. It’s presently closed to the public, but it could change. From mid November to March, you can see butterflies in Mexico: a hundred million butterflies. (Some say a billion.) The amazing monarch butterflies are overachievers in terms of travel. They migrate 2500 miles from Eastern Canada each year – taking several generations to make the journey one way – to a resting area at the Monarch Butterfly Biosphere Reserve (a couple hours outside Mexico City). You’ll see them in astounding numbers, clinging to leaves and landing on your shoulder (or head) to pay a harmless visit. They are the ultimate “snowbirds” – they love the sun, meaning from noon to 2pm or so is the best time to see them in action. It's time for a shot of optimism. Join us. We believe that travel can be a force for good and that how we travel matters. We exist to offer singular travel experiences with brands and tastemakers we admire and respect, and to create a community of Modern Adventurists that value going deeper. 2017-2019 Modern Adventure LLC. Modern Adventure and the Modern Adventure logo are registered trademarks.